Goalkeeper: David Ospina is back in contention after recovering from a groin injury so Petr Cech is expected be rested with Matt Macey named on the bench. Defence: The boss is set to once again rest his big-guns in the Europa League meaning Laurent Koscielny, Nacho Monreal and Shkodran Mustafi won’t be involved. Per Mertesacker is set to captain the side in the middle of defence after recovering from illness with Rob Holding also expected to be given another run-out. Matheiu Debuchy started in the previous European game but Calum Chambers is available again after recovering from a hip injury so I think we’ll see him start. Midfield: Aaron Ramsey, Granit Xhaka, Hector Bellerin and Sead Kolasinac will all make way as Wenger protects his first team players for Sunday’s Premier League clash with Burnley. Francis Coquelin is in-line to get a recall in midfield while the return of several centre-backs could see Mohamed Elneny move back in to midfield which means youngster Joe Willock may have to make do with a place on the bench. Ainsley Maitland-Niles and 17-year-old Reiss Nelson have been deployed in the wing-back roles in the cups this season and while I don’t think it’s their best position, it will still be good to see them get another chance to impress. 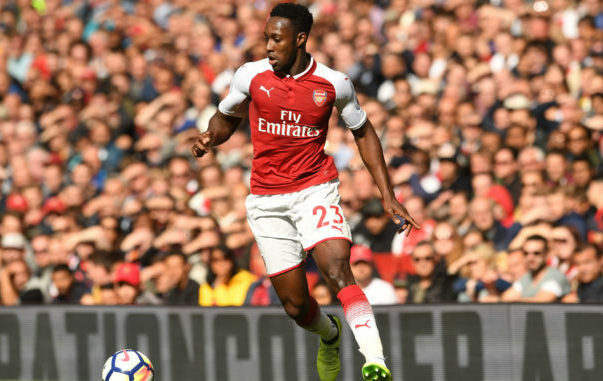 Attack: Danny Welbeck is back in contention after being an unused substitute against Tottenham at the weekend having recovered from a groin injury and Wenger has suggested the 26-year-old will start tomorrow. Theo Walcott hasn’t travelled to Germany as he’s still feeling the effects of the illness that kept him out of the Spurs game so Welbeck could be deployed on the right side of the attack. Jack Wilshere has been played further forward this season so it looks like he’ll continue to build on his match fitness in a more advanced role with Alexis Sanchez and Mesut Ozil obviously rested. Alexandre Lacazette is another who’ll be given a breather and Olivier Giroud is expected to come in after returning to full training today after recovering from the thigh injury that kept him out against Tottenham. 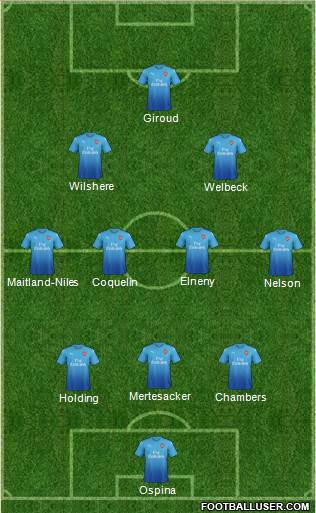 well with these squard, i think arsenal can get a better result at fc cologne.